Formula 1 revealed today the results of its "Best Race of 2018" poll, and the Iceman's triumph is ours as well. Over 16,000 F1 fans voted, and P1 belongs to our very own Pirelli United States Grand Prix! The Circuit of The Americas race this year witnessed some fantastic action, from Kimi Raikkonen breaking a five-year winning drought, to Max Verstappen’s rebuffing of Lewis Hamilton in the closing stages, to Sebastian Vettel and Daniel Ricciardo coming together on lap one. And that’s to say nothing of Lance Stroll and Fernando Alonso’s dramatic first-lap crash, Ricciardo flipping the bird at his broken down Red Bull RB14, or Pierre Gasly getting a lesson in how to trash talk from WWE wrestler The Miz (no, seriously). In the end, it was enough to give the United States Grand Prix a comfortable win in the vote. 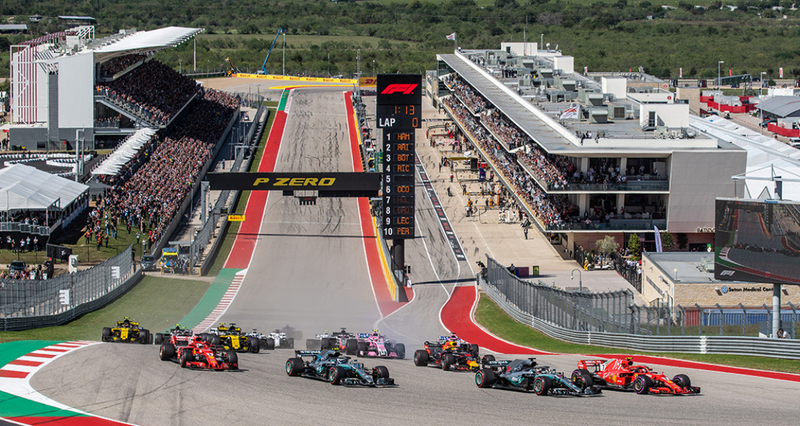 The USGP came out of top crowded field of thrilling races in the top five, from Baku to Silverstone, Hockenheim to Red Bull Ring, to claim 30% of the overall vote.